So, the shooting’s done, the pictures edited down to the final set, negatives scanned and cleaned up, main print, book, business cards and postcard all ordered. Is that it? It all feels a bit anti-climactic now, with over two weeks left until the exhibition. Just the journal to tidy up, and a bit of a flat period until the excitement of the print and book arriving, and the panic of hanging everything. Time to start planning other things. More projects, get the business started, plan photowalks. But for now, I’m just going to take a couple of days off and relax – by reading up on string theory. It can be odd, being a photographer – you’re never quite satisfied. 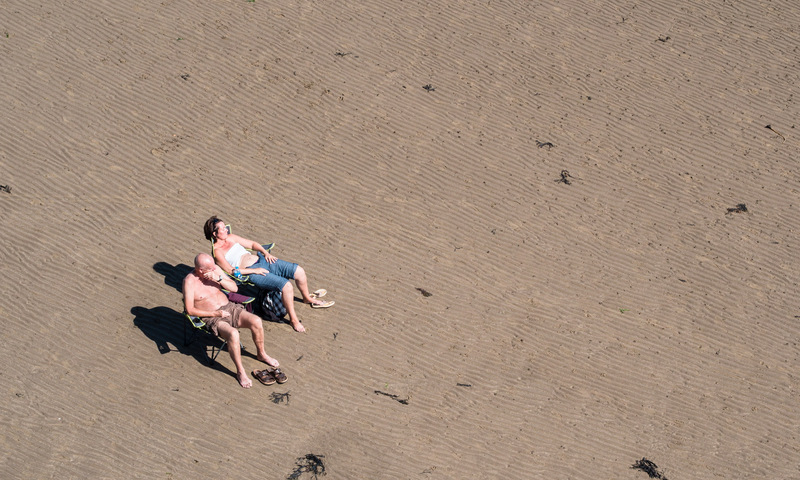 Take now: most of the population are basking in glorious, unseasonably fine weather. Me, I’m cursing it every morning that the sun shines. I’m not being Mr. Grumpy about this, it’s just that I need to get my project shoot finished and, for that, I want overcast days. The problem I have with the current weather is harsh shadows. A nice layer of not-to-thick cloud eliminates those and suits my subjects much better. Also, I’ve started in that light, and I want the whole set to be consistent. Fortunately, there’s still time for our weather to be its usual self and change dramatically – except that it’ll probably go from sunny to chucking it down without passing through any intermediate stages. I’ve been doing a bit of walking around the backside of Manchester recently for my final project at college. Following the Bridgewater Way gives you a new perspective on areas that you thought you knew well. Distances change, for example – a long-ish journey by road is actually quite short along the towpath; five minutes by tram becomes half an hour on foot. Lovely, vibrant colours and sense of joie-de-vivre. It has no point other than to exist, and maybe bring a smile to someone’s face and the secret knowledge that you’ve seen it, but all those thousands passing a few feet above have no idea. If this project’s done nothing else for me, it’s persuaded me to explore the back ways and byways much more than I have before. You never know what little gems might be out there.